First, Fable Legends existed and everyone was a bit confused by a deep RPG series being turned into a free to play, cartoony dungeon-master/party multiplayer game. Then, it was cancelled after a couple of years in development as part of Microsoft shutting down Lionhead. Now it seems it might yet live, with sources from Lionhead telling MCV that some contracted employees are considering joining a new indie venture to get the game finished. Want something, anything, so long as you don’t have to pay? Here’s the best free games available right now. Rumours surfaced today with an article on the industry website that claims the employees left at Lionhead – those under contract – are being surveyed as to whether they would prefer to take the redundancy package at the end of April or continue working on the game and get it finished. This is being ran as “part of the consultation process” from Microsoft. Not a lot to go on, but fans of the British developer will be happy to hear it might not be gone forever. I feel like the folks there would be better off finding funding and then Kickstarting a new project using the studio name to get a few extra pledges – rather than continuing development of a game that’s so had its name dragged through the mud. However, I can imagine it’s pretty harsh to see all that hard work go to waste, and the game must be very close to completion, or at least a playable state, given open beta was meant to start in the near future. What it will depend on is Microsoft’s blessing, and it’ll be hard to convince them to go back on a decision that’s already been made. 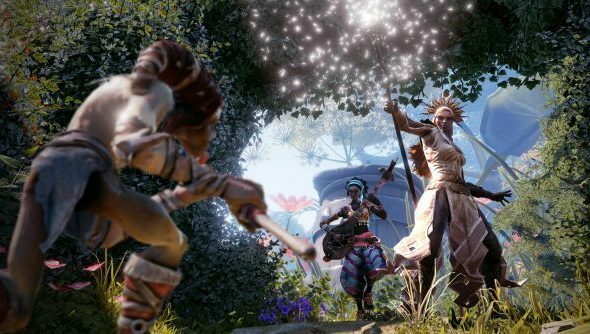 Even if they do, it’s not clear if they would continue as Lionhead, or have to reform outside of Microsoft’s control. We’ll update if we hear anything more.